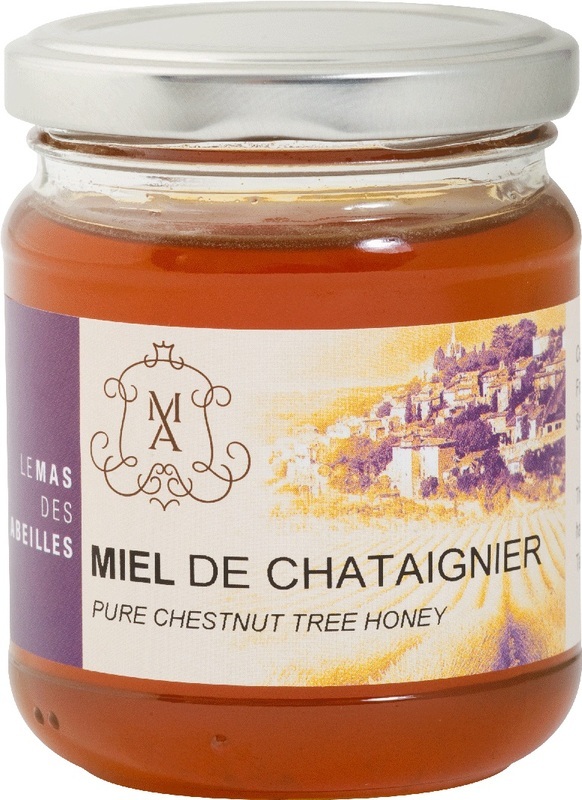 Le Mas des Abeilles’ chestnut tree honey has a dark amber color. It may remain in liquid state for a more or less lengthy period and then generally crystallizes coarsely. Its strong scent includes woody flavors that end with a certain bitterness.